RISTINE SEAS: GALAPAGOS PERMITTED USE: These images may be downloaded or are otherwise provided at no charge for one-time use for coverage or promotion of National Geographic Pristine Seas. No copying, distribution or archiving permitted. Sublicensing, sale or resale is prohibited. 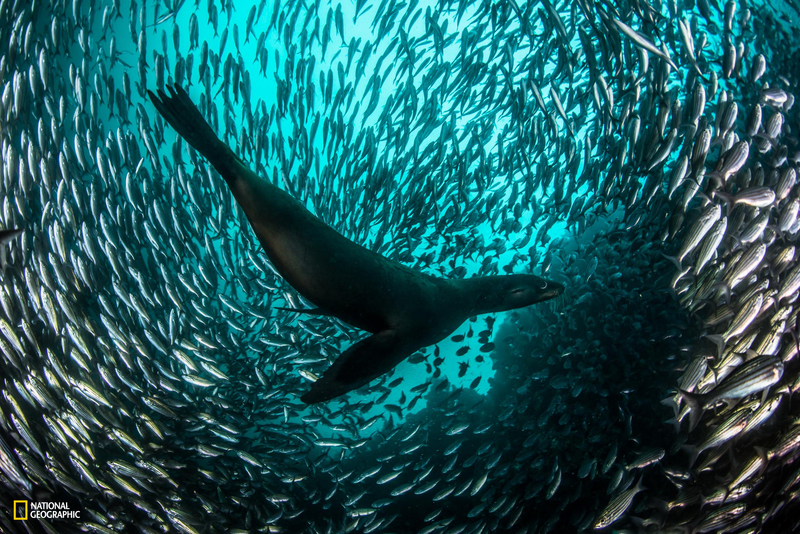 REQUIRED CREDIT: All image uses must be credited to the photographer and reference National Geographic Pristine Seas. 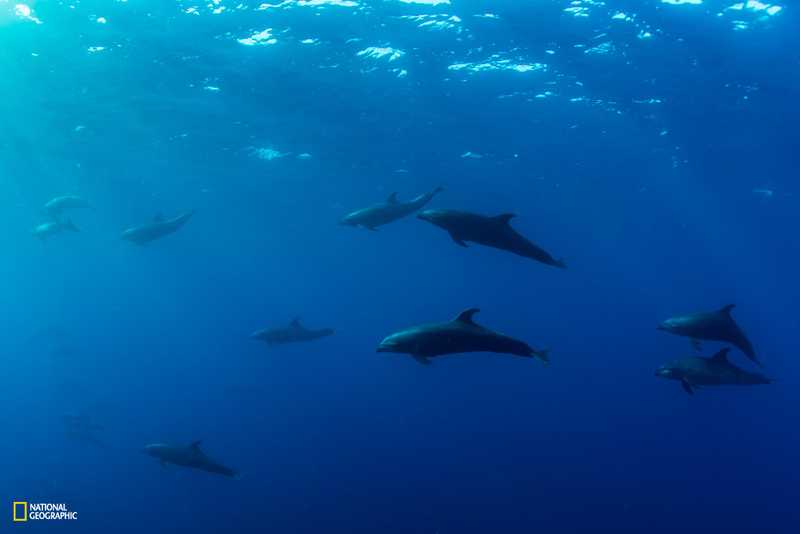 Any uses in which the image appears without proper photographer credit and reference to National Geographic Pristine Seas are subject to paid licensing. You MUST follow these requirements if using the images:1. Include mandatory photo credit with each image: Photo by Enric Sala/National Geographic 2: Provide a prominent link for online use to: pristineseas.org3. Mention that the images are "from National Geographic Pristine Seas.” A group of hammerhead sharks swims over the sandy seafloor populated with garden eels at Darwin Island. These sharks are known for their ability to make sudden and sharp turns as the unique wide-set placement of their eyes allows them a vertical 360-degree view, which is ideal for stalking their prey. 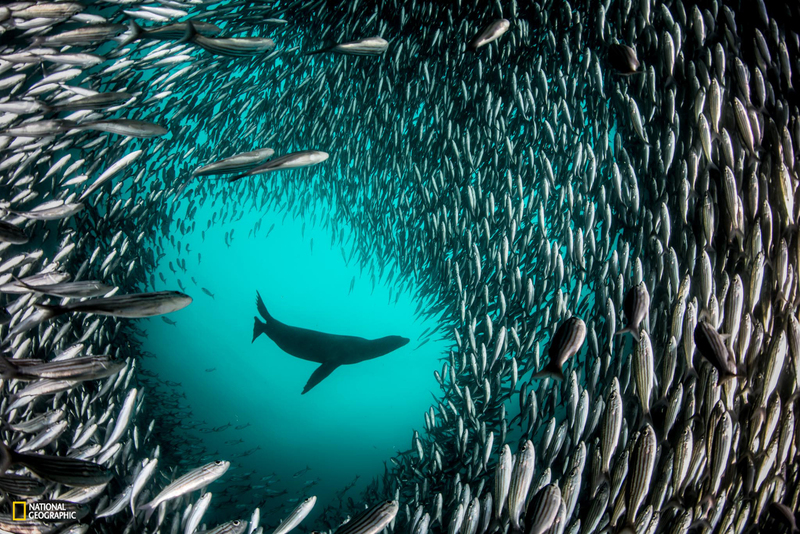 A recent study done by scientists from the Charles Darwin Research Station and the National Geographic Society revealed that the world’s greatest abundance of sharks is in the waters surrounding the Galapagos Islands. 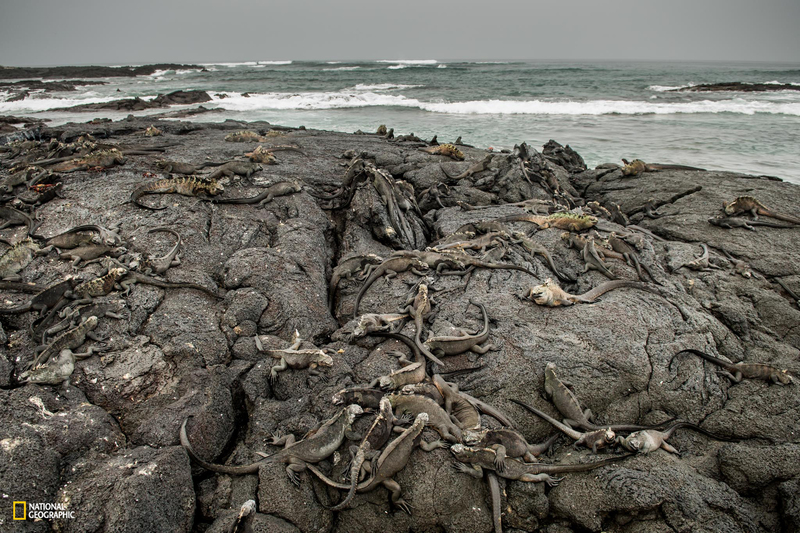 Overfishing has led to a dramatic decrease in shark populations over the last few years, but the northern islands Darwin and Wolf are home to 12.4 tons of shark per hectare. 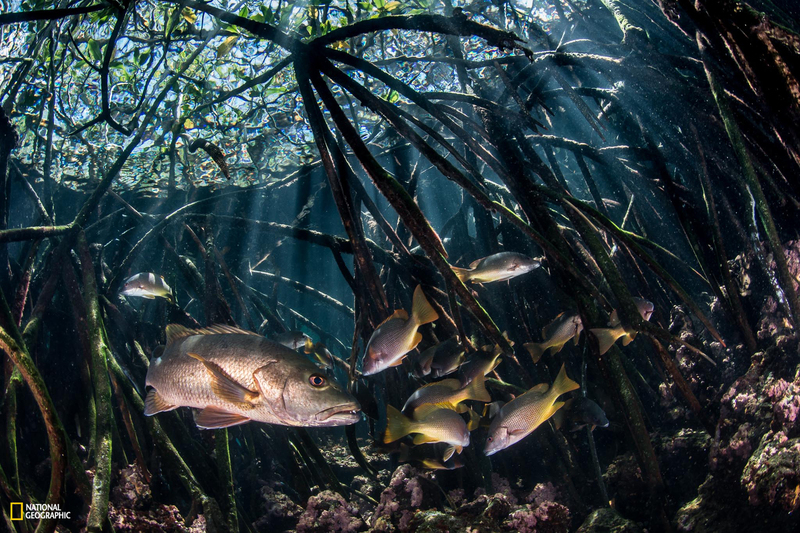 Below are images provided by National Geographic‘s Pristine Seas, and a short video on the Galapagos’ new sanctuary.